There are no strangers here, only friends we haven't met! *Open for travelers passing through starting April 15, 2019, weather permitting. 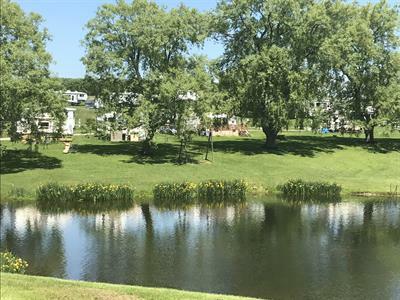 Set in the majestic Finger Lakes region of upstate New York, Country Hills Campground offers rolling hills and valleys and a peaceful camping environment. 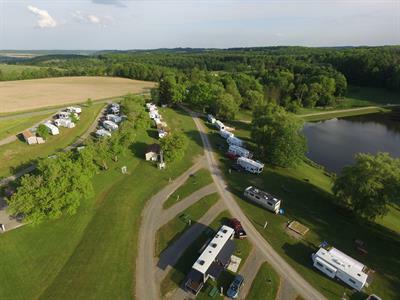 Our family and pet-friendly New York campground is set between two major cities, Binghamton and Syracuse, so there is no activity or facility that you will be unable to find. Join us for fabulous camping activities like boating, fishing, hiking, visiting local sites, and exploring Finger Lakes Wine Country. Plan your visit today with our easy-to-use online reservations system. We have 120 spacious RV sites at Country Hills Campground, sunny or shaded, that will accommodate double slideouts. Feel free to bring your big rig when you stay at our camp for we have more than enough room. We offer full hookups, including electric, water, and sewage. Tent campers are more than welcome to come and stay as well, we are sure you will enjoy your stay. You can fish or canoe right on site in our large pond. At Country Hills Campground you will find modern camping with good old fashioned fun! Overnight guests are of course permitted, and we offer daily, weekly, monthly, and seasonal rates. During your stay at Country Hills Campground, be sure to visit the camp store and check out our wide selection of items. You can take day trips to visit attractions like theme parks, wineries, zoos, casinos, racetracks, fairs, restaurants, and much more. 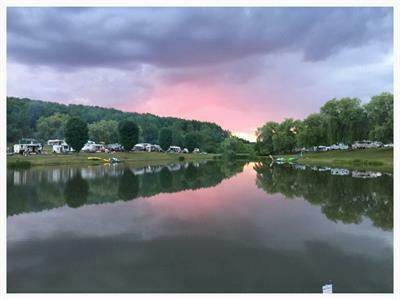 From nights under the stars to spending lazy days fishing on the pond, there is no shortage of fun and interesting activities to be had at Country Hills Campground. Be sure to visit us in late August and early September so you can take in the The Great New York State Fair, or come any time for trips to the Corning Museum of Glass, Tioga Downs Casino, or National Baseball Hall of Fame and Museum in Cooperstown, New York. 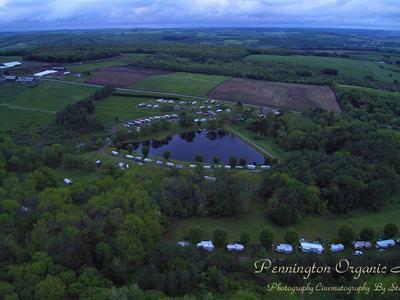 With all there is to do and see in the Finger Lakes area, we know you're going to have a great time camping with us!